Want to hear something crazy? I didn’t sleep last night. Somehow, sadly, I have reached a point in my life where apparently losing a basketball game to Fordham results in a sleepless night. What’s that about? It’s the first time I think that has happened since a visit to San Diego three seasons ago, and no, not because I partied through the night. It was a season that ended with a heart-breaking loss to Stephen F. Austin. I went straight from that game to a fetal position in my hotel bedroom, an unexpected early night in a gorgeous party town. But as disappointing as that one was, and as sleepless as that night was in our hotel overlooking a San Diego marina, I “woke up” the following day in one of the country’s most beautiful cities at an NCAA tournament regional. We had made it that far. I respected our opponent as the Lumberjacks were basically exactly what VCU had been in previous years: an underrated mid-major (32-3 final record) who was a threat to the higher seeded teams that overlooked them. I also started drinking at noon the following day, a luxury I don’t posses this Thursday in a back-to-reality work day where I’ll be forced to get past this loss in a much different fashion. There’s still plenty of runway left for this year’s team. Our fate is yet to be decided. But last night’s result strikes me as something more than just one bad night and more as a real reason for concern. What I can’t get past: Last night’s loss against kenpom No.216 Fordham is the worst loss in terms of computer ranking by a VCU team in six seasons. The Rams’ last sub-200 loss was all the way back in 2010 (pre-Final 4), a 76-66 road loss at No.216 Georgia State. *I’ll get into the comparisons between those two teams later. The reality is not only did we lose to a bad Fordham team last night, we’ve basically been a mediocre basketball team up to this point in the season. “But Mat, we’re 14-5, that’s pretty good!”, you say. By mediocre I’m not saying we’re an average college basketball team. That distinction would go to teams ranked around the 175 mark out of the 351 DI basketball teams; schools like George Washington, William & Mary, Troy, Kent State, Hofstra, etc. This year’s group has been mediocre by a new VCU standard set the past six seasons. VCU has two top-100 wins this season and neither was convincing. The Rams first defeated No.77 Princeton at a Nov 29th home game. Princeton jumped out to a 16-0 lead on the Rams at the Siegel Center. VCU didn’t score their first points in that one until about six minutes in and didn’t hit their first field goal until about seven minutes, giving us an early season preview of just how ice-cold this Ram offense can be at times, exactly what we’ve seen the first halves of our last two games, a combined 46 points scored — 26 at Davidson, 20 at Fordham. The black and gold fought back to take a 39-all tie into the half against Princeton but still found themselves trailing an Ivy League team (without their best player) at home with six minutes left in the game. Two huge threes late helped give the Rams a semi-comfortable six-point cushion they would stretch to 11 late in the win. VCU’s other top-100 win was a three-point home victory over No.52 Middle Tennessee State. It was a game VCU trailed until the final under-8 timeout, a game they would narrowly win in front of yet another sold out Siegel Center crowd. Middle Tennessee is a very good team, so make no mistake, any win against them is great. But the fact that VCU’s best win is a three-point home win over a sub-50 team hints at about probably where we are in the grand scheme of things this season. Looking at those results, VCU’s current No.55 kenpom ranking makes a ton of sense. That’s who we are. A fringe NCAA tournament team or perhaps a natural NIT team. It also means the Rams are in for a number of battles the rest of the way. Half of VCU’s remaining games are against top-100 teams, two of which are against top-50 Dayton. VCU will also play two very tricky contests against No.107 Richmond, a team currently atop the A-10 at a perfect 5-0. After last night’s loss, no game appears to be a gimme. And there is a very real chance things could get ugly and soon. The good news: VCU is 14-5 and it’s still early. The Rams could reclaim the A-10’s top spot by as early as February 1. They have that opportunity, but do they have the team to do it? I don’t say that as a VCU basher/hater/Negative Nancy — I genuinely enjoy the personalities on this team and see the potential for this group to be really good. I say that as someone who has covered the Rams for 10 years now, a stretch that has oddly enough included three coaches, two Athletic Directors, two home conferences and two school Presidents. I care. But I’m also a realist and a numbers junkie who sees some troubling signs. That’s one of my all-time favorite song lyrics. It comes from Don McLean’s “American Pie” and outside of college basketball, is pretty much how I go through life: optimistic with tons of perspective — somehow that oddly doesn’t always translate to my bball life). The reality is this year’s team is our fifth to start 14-5 over the past eight seasons. We have been here before…sorta. The difference is all of our previous five teams ranked within Pomeroy’s top-40 at this point, meaning we’ve got a ton of work to do with a brutal schedule staring us in the face. But this season’s story doesn’t have to have a sad ending. VCU dipped to as low as No.59 nationally last season before peeking at No.27 by the beginning of February. Will Wade has turned teams around before and with this year’s group he has an experienced team capable of playing much better than they have been. But he has yet to figure out the puzzle that is the 2016-17 VCU Rams. 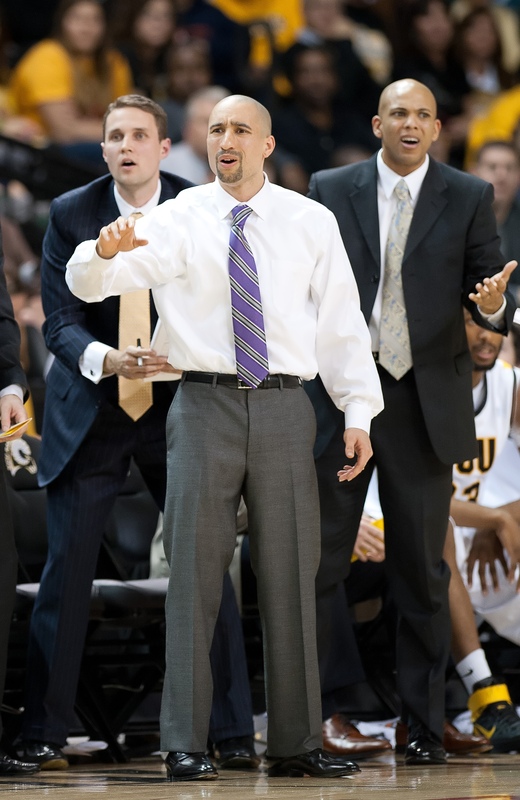 VCU head coach Will Wade was an assistant on the Rams’ Final 4 team, VCU’s last team to lose to a sub-200 ranked team. VCU’s Final 4 team ranked 95th at this point in the season, also 14-5. They picked up just enough big wins to sneak into the turnout and somehow hit the easy button, going on an insane run to the Final 4. Oddly enough, that might be the closest model to this year’s team. This year’s Rams have the 21st most experienced roster in the country. The 2011 group had the 46th most experienced group. 2011 finished the year with a 108.7 offensive efficiency ranking and a 95.4 defensive efficiency, numbers that got a major boost from five NCAA tournament wins. This year’s team currently boasts ratings of 108.5 on offense (slightly worse than the Final 4 group) and 96.3 on defense (ditto). The Final 4 Rams had their best non-conference win against the 52nd ranked team (UCLA) and their only other top-100 win at this point in the season against No.83 Wofford, then dropped that terrible road loss at No.216 Georgia State I mentioned earlier. So many similarities, but modeling this year’s group after a once-in-a-lifetime team that barely snuck into the tournament before going nuts, may not be the most dependable model. This year’s VCU team does have the added benefit of an opportunity-presenting Atlantic 10 schedule. But again, it also presents a greater chance of the wheels coming off altogether. The Rams don’t have to be an NIT (or worse) team, but last night’s loss at Fordham makes VCU’s window of opportunity that much smaller. 50% club – Fordham has shot over 50% inside the arc against just two A-10 teams this season: VCU and Richmond. They had shot over 50% inside the arc in four of their last 12 games. The other two were in a win over Central Connecticut state and in a loss to Sacred Heart, both sub-300 ranked teams. I’m with Leakster – I know I shouldn’t question our coaches…but I’ll ask the same question A LOT of folks have asked me: Why aren’t we playing Malik Crowfield? Will Wade raved about Crowfield in the offseason and even gave him a season-opening few starts before burying the freshman on the bench. Crowfield has played double-digit minutes just six times this season but has posted offensive ratings of 113 or better all six times. Crowfield’s 121.8 offensive rating currently leads the team and his 40.7% three-point percentage is tops among active players (De’Riante Jenkins leads the team at 44.4% but is shelved for a few weeks with a broken foot). Crowfield has just four turnovers on the season and a 13.4% turnover rate, second best on the team behind only Justin Tillman who has more dunks than dribbles and passes combined this season. In short, on paper, Crowfield is everything this team needs. A three-point threat to stretch defenses and a guard who can help bring the turnover numbers down on a team that’s killing itself with turnovers. In my opinion not only can Crowfield be a great player as he get experience, but based off what we need, can also help us now. 0 – Number of field goal attempts Mo Alie-Cox had last night. The last time Mo had a zero attempts night he was a freshman. Enjoy your perspective. I too wonder about Malik! Thanks Mat – Thanks for the positive spin. I was dazed and confused by the aliens in white last night. I did, however, get up and don my VCU sweatshirt to carry me through the day. Onwards to upwards to Sunday!